Killers of Bangabandhu Walked into Gallows..
Photo: Five condemned killers of Bangabandhu Sheikh Mujibur Rahman were hanged early today at Dhaka Central Jail amid tight security. Mohiuddin Ahmed (artillery) was first to be executed at 12:05am and then four others walked to the gallows one after another.Four others are Maj (retd) Bazlul Huda, Lt Col (retd) Sultan Shahriar Rashid Khan, Syed Farooq Rahman and Maj (retd) AKM Mohiuddin (lancer). Tight security measures have been taken in and around Dhaka Central Jail over the executions. A large number of law enforcement agency members including RAB and police were deployed. Dhaka, Bangladesh. January 28, 2010. Photo:Cheering supporters carry a portrait of Sheikh Mujibur Rahman outside the Dhaka central jail on early Thursday as Bangladesh executed five former military officers for their role in the 1975 massacre of the country's independence leader. There is a saying that justice delayed is justice denied. Nation had to wait 35 years for justice and definitely justice is not denied here. Killing in any form of any one is a condemnable offence. Killers must face justice. But it is unimaginable to even think any civilised nation could keep the self confessed killers of its founder immune from justice passing act in the parliament. The government and the leaders who succeeded Bangabandhu government after 1975 till 1990 must also be brought under judiciary scanner for protecting and rewarding the killers. Killing of August 15th 1975 created more killings. 4 main leaders of the liberation war were killed brutally inside Dhaka Central Jail by the same group of the killers. The killer group and the defeated force of 1971 under state sponsorship carried out several killing missions. Many libration war sector commanders, freedom fighters in the army were killed to consolidate power of a so called liberation war front leader- planted agent of ISI from August 1975 till May 1981. Then another cunning fox conspired to kill several birds in the same shot to grab power and make Bangladesh the safe heaven of corruption and autocracy. Civil commotion overthrew the government in 1990.But true democracy could not be established. The beneficiaries of autocrat rule still dominated to propel the country to reverse gear. A popular government came to power in 1996 .Indemnity act was cancelled and trail process started. Government initiated massive war plans to rebuild countries economy from the brink. But unfortunately conspirators again conspired and installed their favoured rulers to power again to make Bangladesh safe heaven of corruption, anarchy and terrorism. From 2201- 2006 there was hardly any rule of law. There parallel government misruled the country, State sponsored terrorists carried out deadly grenade attack on opposition rally to kill leader of the opposition at the heart of the capital city in the broad day light. Elected MPs were killed, leading journalists were murdered. Government allowed terrorists of neighbouring countries safe hiding. Bangladesh was used as safe corridor for hauling deadly weapons. Bangladesh for four year in succession earned the ignominy of being the most corrupt country of the world. The Supreme Court of Bangladesh on Thursday evening upheld the High Court verdict that confirmed death sentences of 12 retired and dismissed armymen in Bangabandhu Sheikh Mijubur Rahman assassination case. The five-member bench comprising Justice Md Tafazzul Islam, Justice Md Abdul Aziz, Justice BK Das, Justice Md Muzammel Hossain and Justice SK Sinha delivered the verdict dismissing the appeals filed by five convicts against their death sentences in this case. Lt Col (sacked) Syed Farooq-ur Rahman, Lt Col (retd) Sultan Shahriar Rashid Khan, Lt Col (retd) Muhiuddin Ahmed, Lt Col (retd) AKM Mohiuddin Ahmed and Maj (retd) Bazlul Huda who are now behind bars, filed the appeals with the apex court in October 2007 against their convictions and death sentences by a lower court. Of the other seven condemned killers, Lt Col (retd) Md Abdul Aziz Pasha had died earlier. The death sentences of Col (retd) Khandaker Abdur Rashid, Maj (retd) Shariful Haque Dalim, Lt Col (retd) AM Rashed Chowdhury, Lt Col (retd) SHMB Noor Chowdhury, Capt (retd) Abdul Mazed and Risaldar (retd) Moslemuddin delivered by the High Court will stand valid as they are absconding at present. In his immediate reaction to the justice, chief counsel for the state Anisul Huq told The Daily Star, "The nation has got the justice." 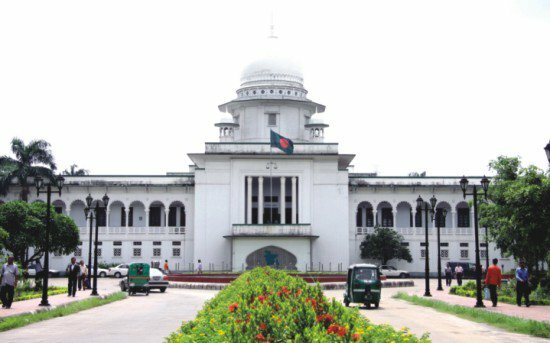 Barrister Abdullah-al Mamun, counsel for convicts Bazlul Huda and AKM Mohiuddin, said they will submit a review petition with the Supreme Court within the stipulated 30 days after receiving the SC certified copy of the judgment. The SC observed in the verdict that Justice M Fazlul Karim has properly delivered the verdict and this court cannot interfere in it. The court said Justice Fazlul Karim has reviewed the matter of six accused as earlier two judges of the HC had expressed same opinion about the nine other accused, out of 15, in this case. The apex court said that the trial court and the HC have properly explained the delay in filing the first information report (FIR) of this case. The court of judges said the incidents of August 15, 1975 were a simple murder and it was not a result of mutiny. Criminal conspiracy was committed to murder Bangabandhu Sheikh Mujibur Rahman and this was not committed for any mutiny, it added. The court further said there was no contradiction or anomaly in the evidence and the statements in this case. So, there is nothing to interfere in the HC verdict. And the HC verdict has been confirmed, the court said. After hearing for 29 days the appeals, the special bench delivered the verdict. Convicts Lt Col (sacked) Syed Farooq-ur Rahman, Lt Col (retd) Sultan Shahriar Rashid Khan, Lt Col (retd) Muhiuddin Ahmed, Lt Col (retd) AKM Mohiuddin Ahmed, and Maj (retd) Bazlul Huda, who are now behind bars, filed the appeals with the apex court in October 2007 against their convictions and death sentences by a lower court. 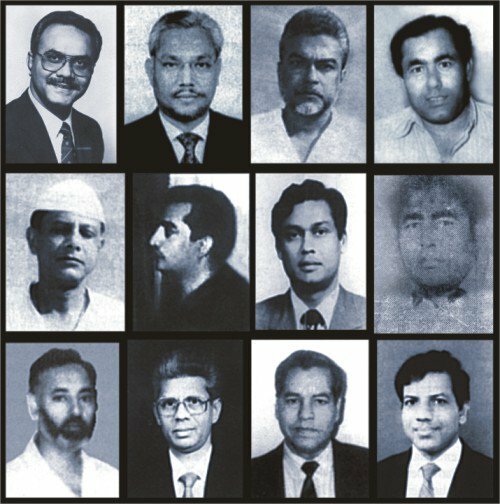 Earlier on November 8, 1998, Dhaka Sessions Judge Golam Rasul handed down death sentences to 15 of the 20 defendants in the case. The court gave the capital punishment to Lt Col (dismissed) Syed Farooq-ur Rahman, Lt Col (retd) Sultan Shahriar Rashid Khan, Lt Col (retd) Muhiuddin Ahmed, Lt Col (retd) AKM Mahiuddin Ahmed, Maj (retd) Bazlul Huda, Lt Col (retd) Khandaker Abdur Rashid, Maj (retd) Shariful Haque Dalim, Maj (retd) Ahmed Shariful Hossain, Lt Col (retd) AM Rashed Chowdhury, Lt Col (retd) SHMB Noor Chowdhury, Lt Col (retd) Md Abdul Aziz Pasha, Capt (retd) Md Kismat Hashem, Capt (retd) Nazmul Hossain Ansar, Capt (retd) Abdul Mazed, and Risaldar (retd) Moslemuddin. A division bench of the High Court comprising Justice Md Ruhul Amin and Justice ABM Khairul Haque on December 14, 2000, delivered split verdicts on death reference appeals in the case. First judge Justice Md Ruhul Amin upheld the death sentences of 10 and acquitted five -- Muhiuddin Ahmed, Ahmed Shariful Hossain, Md Kismat Hashem, Nazmul Hossain Ansar, and Moslemuddin. Second judge Justice ABM Khairul Haque upheld the death sentences of all 15 convicts. On January 15, 2001, Justice Mohammad Fazlul Karim was appointed as the third judge to adjudicate the appeals. He delivered the final High Court verdict in the case on April 30, 2001, affirming the convictions and death sentences of 12 of the 15 defendants. The three that he acquitted are Md Kismat Hashem, Ahmed Shariful Hossain, and Nazmul Hossain Ansar. The deafening sound of gunshots broke the stillness of dawn on August 15, 1975 on road No 32 of Dhanmondi residential area. In less than an hour, the darkest chapter in the political history of Bangladesh was written on that fateful morning. Bangabandhu Sheikh Mujibur Rahman and the following members of his family were assassinated in three separate attacks: his wife Begum Fazilatunnessa, sons Sheikh Kamal, Sheikh Jamal and nine-year-old Sheikh Russel, daughters-in-law Sultana Kamal, Parveen Jamal, Bangabandhu's brother Sheikh Naser, brother-in-law Abdur Rab Serniabat, 13-year-old Baby Serniabat, Serniabat's son Arif, four-year-old grand son Babu, a visiting nephew, three guests, four servants, Sheikh Fazlul Huq Moni, a nephew of Bangabandhu, his wife Begum Arju Moni, and Bangabandhu's security chief Colonel Jamil Uddin Ahmed. Govt plans to list Razakars.. The government is considering preparing a list of Al-Badr, Razakar, Al-Shams and leaders of peace committees who opposed the Liberation War of Bangladesh. State Minister for Liberation War Affairs Ministry ABM Tajul Islam said this in parliament yesterday in reply to a query of Awami League lawmaker Chayan Islam. “The government will take necessary steps on completion of the election to central command council of Bangladesh Muktijoddha Sangsad,” the state minister said in a scripted answer. His reply came a day after Prime Minister Sheikh Hasina's Wednesday's remark on the necessity of preparing a list of Razakars. “We should have prepared a list of Razakars,” the premier told the lawmakers while she was speaking on preparing a list of freedom fighters. Demands of preparing the list of Razakars, Al-Badr, Al-Shams and leaders of peace committee have been raised at different times. But the list of the anti-liberation people is yet to be prepared. GSMA urges Bangladesh to develop broadband services..
GSMA, the global trade body representing the mobile telephone industry, on Thursday called on Bangladesh to issue third-generation (3G) radio spectrum, to develop broadband services and internet access in the country. "With limited fixed line coverage unable to adequately serve the widely dispersed Bangladesh population, more focus must be given to releasing the urgently needed spectrum for mobile broadband," Tom Phillips, Chief Government and Regulatory Affairs Officer at the GSMA said in a statement. About 90 percent of fixed lines in Bangladesh are in urban areas where about 25 percent of the population lives, the GSMA said. The Bangladesh Telecoms regulator said it plans to award 3G licenses through an open auction this year. The move could help more people access the internet. About 52 million people have mobiles in the country, compared with 1.65 million fixed-line phones. Analysts predict the number of mobile subscribers could top 70 million by 2011, nearly half the country's population of 150 million people. There are six cellphone carriers in Bangladesh, including five foreign operators. Grameenphone, mostly controlled by Norway's Telenor leads the market with 23.26 million subscribers followed by Egyptian Orascom Telecom's Banglalink with 13.87 million. Analysts expect competition to heat up in the telecom sector as India's top operator Bharti Airtel is buying 70 percent stake in Bangladesh's fourth-largest carrier Warid. Internet access is expected to contribute 2.6 percent of GDP in 2020, by stimulating the agricultural, service and manufacturing industries, according to the Boston Consulting Group. (Reporting by Ruma Paul; Editing by Anis Ahmed and Sharon Lindores) Keywords: BANGLADESH TELECOMS/ (ruma.paul@thomsonreuters.com; Reuters Messaging: ruma.paul.reuters.com@reuters.net;) COPYRIGHT Copyright Thomson Reuters 2010. All rights reserved. The decision by Bangladeshi conglomerate Beximco Group to enlist the help of Indian media major NDTV to run Independent TV, a news channel Beximco wants to launch by September, looks like a smart move in a market bracing itself for fierce competition. Beximco is one of 10 winners of new satellite TV licenses recently handed out by the Bangladeshi government, adding to 12 private channels already on air and ratcheting up competition in a market where few local channels have been able to stake out a distinct positioning. Most of the new channels won’t be launching until next year, though the new arrivals should drive down ad rates among the most popular local channels, ATN Bangla, Channel i and NTV, and may even squeeze out some smaller ones, which are struggling in the market. “Second and third tier channels which launched in recent years will find it hard to survive, as their existing rates are already rock bottom,” notes Ferdousia Bakhtiar, an assistant director at media agency network Mindshare. In addition to Independent TV, two other channels are aiming to launch this year: My TV which plans to go on air by February and ATN News, a sister channel to ATN Bangla TV, which is aiming for July. Bangladesh’s newspaper industry is also facing similar challenges of its own, with three new dailies set to hit newsstands well. In TV, only Beximco and ATN are planning launching news channels, popular among advertisers. The rest are opting for a more diverse infotainment positioning, with little indication of how they plan to compete against each other. One obvious gap seems to be a specialized entertainment offering. The launch of Independent TV will mark a renewed attempt to crack the vernacular Bengali media market by Beximco, which currently publishes English-language daily newspaper The Independent via its Beximco Media subsidiary, which also manages its IT and internet service provider businesses. The conglomerate is a major player in Bangladesh, with close ties to the ruling party and a market cap exceeding US$1 billion, constituting more than 5% of the market capitalization of the Dhaka Stock Exchange. It plans to invest more than US$10 million in Independent TV. Study: Rising Seas Threaten Bangladesh Tigers..
One of the world's largest tiger populations could be wiped out this century as rising seas threaten to engulf their dwindling habitat in the coastal mangrove forests of Bangladesh, researchers said Wednesday. A projected sea-level rise of 11 inches (28 centimeters) above 2000 levels along coastal Bangladesh by 2070 may cause the remaining tiger habitat in the Sundarbans to decline by 96 percent, pushing the total population to as few as five tigers, according to the new World Wildlife Fund-led study published this month in the peer-reviewed journal, Climatic Change. Studies in the past have shown that tiger populations below 25 have difficulty surviving. Colby Loucks, WWF's deputy director of conservation science, said in a statement that tigers were capable of thriving in a wide range of habitats from the snowy forests of Russia to the tropical forests of Indonesia, but the projected sea-level rise in Bangladesh would likely outpace the tiger's ability to adapt. "If we don't take steps to address the impacts of climate change on the Sundarbans, the only way its tigers will survive this century is with scuba gear," said Loucks, the lead author of the study. Tigers are among the world's most threatened species, with just 3,200 estimated left in the wild following widespread poaching and deforestation. There are believed to be close to 250 tigers on the Indian side of the Sundarbans, and another 250 on the Bangladesh side. The study is the first to assess the impact of a sea-level rise on the tigers, and its conclusions were made possible by advances in the data collected on the Sundarbans, although it does not assess the impact on the Indian side of the forest. 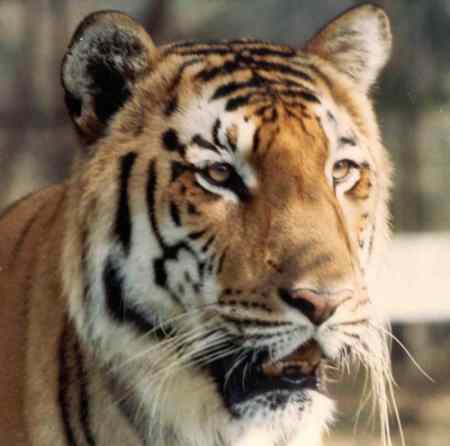 The Bangladesh government said it was working with several international groups to address the threats to the tigers highlighted in the study. Aminul Islam, a Bangladeshi tiger expert, said studies suggested a sea-level rise was likely, but remained hopeful the tigers still could be saved as the deposit of silt in the delta region of the Sundarbans could compensate for the rising water. "Different water modeling studies suggest that the issue of sea-level rise is a reality, and may affect the ecosystem of the Sundarbans," Islam said. "But I am also optimistic. ... If the rate of siltration is higher than the pace of sea-level rise, things would be different." The Sundarbans lies at the mouth of the Ganges River. It is a 3,700-square-mile (9,580-square-kilometer) region of mangrove forest and islands. The tiger habitat is already declining due to farming, expanding villages and fisheries in what is one of the world's most densely populated countries. Millions live in the Sundarbans, and about two dozen people are killed by tigers every year. Rising sea levels and worsening floods have already forced villagers who can no longer grow enough crops to venture into the tigers' domain in search of fish, crabs and honey to sell. And tigers are creeping ever closer to villagers in search of fresh water and food, according to scientists who track their movement. The study calls for local authorities to take immediate steps to conserve and expand mangroves while preventing poaching. Neighboring countries should increase freshwater flows to the coastal region to support agriculture and replenishment of the land, it said. The study also demanded tough international action to address global warming. Improving working conditions in Bangladesh garment factory..
Shulie sits bent over her sewing machine amidst row upon row of Bangladeshi garment workers - a sea of denim blue as each one whizzes up and down the seams of jeans destined for Zara, the Western fashion chain. The deafening whirr of hundreds of sewing machines, the faces covered with masks, the fixed concentration, all reflect a modern Bangladeshi garment factory. It is hard work, long hours and by Western standards, low pay. But it is one of the better ones. This is Windy Group, a garment factory on the outskirts of Dhaka. A few months ago the company moved into this new modern facility. It is spacious, cool and well lit. And BBC Radio 4's "In Business" has played its own small part in bringing about change in this particular supply chain company. Eighteen months ago, we highlighted the appalling conditions in one of its city centre factories, Windy Apparels, after the BBC's Dhaka reporter spoke to some of its workers. Two of them said they were making clothes for Zara. In Business alerted Inditex, the owner of Zara, and their Director of Corporate Social Responsibility, Javier Chercoles, flew to Bangladesh to investigate. He established that this particular factory was not making clothes for Zara. "Conditions were bad because it was an old factory from about 1975 to 1980, four floors, city centre of Dhaka, no evacuation stairs, too many people." Javier Chercoles gave the factory owner, Mesbah Uddin Khan an ultimatum: close this factory and improve conditions at a new site if you want Inditex (and Zara) to remain a customer of yours. Mr Khan was told by Inditex that if he was willing to bring about major changes, they would support him and give him orders. "They said we will get priority," he remembers, "if we can improve our working conditions as they want." Now, more than a year later, two thirds of the staff have moved to the new modern site and those who did not want to were given severance pay. All the Windy Group companies have been amalgamated at the new factory which has several storeys and room to increase production further. 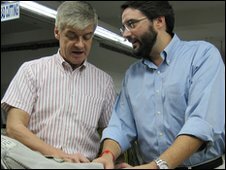 One of the main players who helped influence and bring about this transformation at Windy Group was the late Neil Kearney, General Secretary of the International Textile, Garment and Leather Workers Federation (ITGLWF) - the global umbrella federation of unions for the worldwide garment sector. He spent a day with us to help tell the story. Tragically he died of a heart attack in Bangladesh after the programme was recorded. He had worked tirelessly around the world, and particularly in Bangladesh, to improve working conditions in the garment sector. Here is how he assessed the new Windy Group factory: "This is what factories on the way to progress should look like. This factory is very much better than the majority of traditional factories in Bangladesh. "Of course there are many improvements that can still be made," he added. "But it is a long way from what many of these workers were involved in six months ago." Although this was only one factory out of more than 4000 in Bangladesh, Neil Kearney said simply that you have to start somewhere. He believed that currently out of 10,000 Western buyers only about 100 of them were trying to improve working conditions. And it was the buyers who had the power to make change happen. "It's what every factory should be moving towards and every buyer should be doing the same thing," he said. "Because if the buyer makes the demand, the industry has to respond to that." Javier Chercoles of Inditex says "We have the first one here. An example" which he hopes others will follow. Since the old Windy factory was closed, Inditex has persuaded another company, Elaine Garments, to close its dangerous city-centre site and move to a safer, more modern factory. For Neil Kearney the major issue in the garment sector was wages. He was extremely concerned that the minimum wage set by the Bangladesh government had not been raised for three years. It is currently 1662 Bangladeshi Taka a month, about £15 or $24, for an entry level worker such as a "helper" in a garment factory. He took us to a meeting at the Bangladesh parliament with Israfil Alam, who is a member of parliament and chairman of the Standing Committee of Labour and Employment. Israfil Alam said the government planned to double the minimum wage but that it would not be raised on an annual basis: "Our prime minister is committed to increasing the salaries and wages of all workers of Bangladesh." Israfil Alam pledged that it would be done within the next year, and also that Bangladesh would embrace an International Labour Organisation (ILO) programme to improve working conditions. "If you come back to Bangladesh in a year's time, you will see that everything is okay." "I wouldn't be so optimistic as to say everything will be okay, but hopefully we will be on the road to much better conditions." That evening, after that meeting and visits to the Windy Group, he died in his hotel in Dhaka, shocking the many people who had worked with him to such effect in many parts of the world. He had visited Bangladesh more than 50 times since 1988, constantly striving to improve conditions in the garment factories. The day after he died the Bangladeshi unions and the factory bosses' organisation jointly described Neil as "a true friend of Bangladesh" and three days of mourning were declared in the textile and garment sector. Will Bangladesh be satisfied with their performance or will they see it as an opportunity lost to put more pressure on India? Mushfiqur Rahim, the man who hit his maiden Test hundred and gave Bangladesh something to cheer about, chose to look at the positives. "We nearly took 20 wickets. Our pace bowlers did the job and Shakib [Al Hasan], as always, contributed a lot. 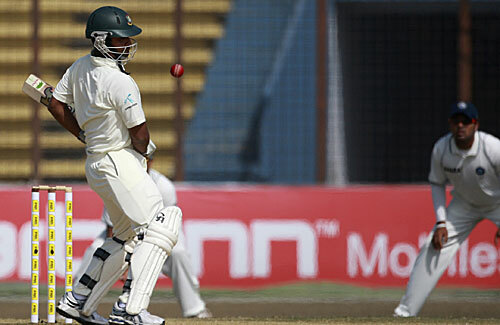 Tamim Iqbal batted really well too," he said before pinpointing the problem that led Bangladesh squander a great chance. "If some of [the] other top-order batsmen can also score some runs, we can do really well in the second Test." A few hard decisions need to be taken. Mohammad Ashraful has played 51 Tests. How many is too many for him? The other day Akram Khan, a national selector, offered a hint. "We have been forced to stick with him because there aren't enough senior players around," he told Cricinfo. "We have had good players like Raqibul, Tamim and Shakib come in and they are established players now. But we don't have too many senior players, so we have been forced to stick with Ashraful. Obviously, if he doesn't score consistently now, we will have to think again." Shariar Nafees really looked very shaky to be batting at No. 3. Was it just nerves of bveing on comeback or was it something more than that? Should Mahmudullah be pushed up the order? Does the Vettori of Bangladesh, Shakib, need to go one spot above or is he perfect where he is? Does Mushfiqur need to bat slightly higher? He answered that one himself. "It's a management decision. I guess, in Tests, it doesn't get easy to keep for 100 overs and bat at No's 3 or 4. I will do what my team wants." However, for a team that doesn't play a lot of Tests, Bangladesh did really well. There were quite a few special moments. Shakib's bowling was as nagging as ever. His twin dismissals of Virender Sehwag must have been as special a moment for him as it was for the fans who saw it as a perfect revenge for what Sehwag said before the match. Rubel Hossain, in an impressive spell post lunch on fourth day, removed Sachin Tendulkar and reminded Yuvraj Singh that he still had a lot to do before he is seen as a genuine Test batsman. On a flat track, Rubel hit Yuvraj once on the back of the head and hurried him on a few other occasions. Tamim Iqbal, since his "turning point" hundred against West Indies has been walking the talk. He wants to learn to bat long and he has been doing that of late. It was a fine performance in the second innings; he found almost the right balance between aggression and defense and you couldn't really cuss him for the shot that he got out to. It was there to be hit, but he didn't execute his thought properly. Shahadat Hossain, who is still trying to come to terms with his action changes, got wickets and Shafiul Islam, despite not being among the wickets, was the best Bangladeshi seamer on view in the first innings. 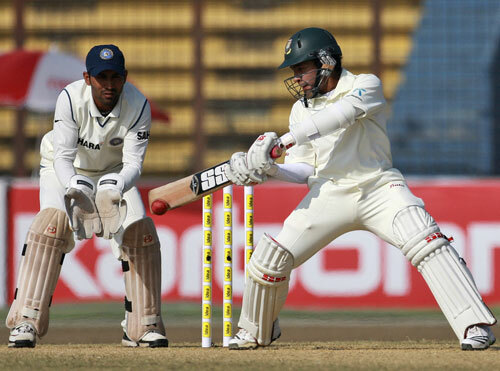 And who can forget Mushfiqur's furious counter-attacking knock? "They called me a school boy," he said with a smile at what the Indians told him when he was batting at the end of a memorable day. It wasn't a complaint, just a reply to a direct question on the issue. "It's part of the game. I like when people sledge me. I didn't say anything back, just wanted to answer with my bat." He does look like a schoolboy and has a sense of a charming naughtiness of one about him, be it while keeping batting or even while addressing the press. He is a live wire and the heart of Bangladesh when they are on the field with his constant chatter from behind the stumps. Bangladesh would do well if they had more Mushfiqurs. India coast to win despite Mushfiqur century..
Tamim Iqbal's brief resistance and Mushfiqur Rahim's crowd-pleasing century were way too inadequate for Bangladesh who had no surprises lined up on the final day. 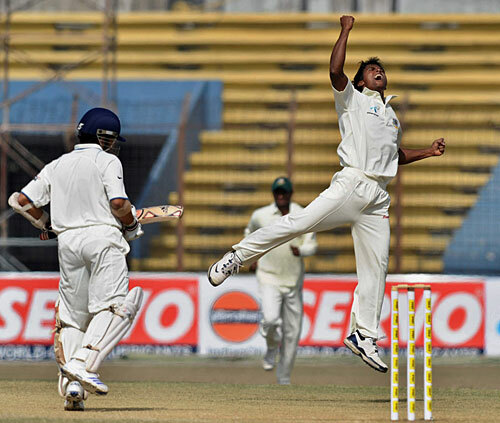 Even with an off-rhythm Sreesanth making it a virtual three-man attack, Ishant Sharma and Zaheer Khan paved India's way to an eventually comfortable win despite their first-innings failure and murky conditions curtailing action on every day of the match. Despite Mushfiqur's knock - the fastest hundred for a Bangladesh player - alongside the tail, they could not last until the final session. In the end, it was the batsmen who let the Bangladesh bowlers down. Their bowlers might have shown they were better than ordinary, getting India out for 243 in the first innings, but both their batting efforts were ordinary. In the final innings, none of the batsmen showed either the aptitude or the inclination to bat out long periods on a flat pitch and on a day where bad light was bound to cut the day short. The signs were all there in the first ten minutes of the day. Mohammad Ashraful carried on from an edgy first innings. After surviving two slashes and edges in the first three overs, he drove on the up at an Ishant delivery that held its line enough to take a healthy edge. Raqibul Hasan showed the willingness to fight it out, even taking a blow on the elbow, but Ishant's re-discovered offcutter proved to be too good for him, trapping him plumb in front. The only bit of fight came from Tamim, who survived the early thorough examination given by Ishant and Zaheer. He concentrated hard, and quelled his natural game for the first hour. Except for one loose drive in the second over, he resisted the cover-drives, and instead relied on bunting the balls close to him for singles. He did not concentrate for long enough, though. The way he tried to open up against Sreesanth and Amit Mishra showed that the first hour had taken a big extra effort. From 27 off 81, when the back-up bowlers were introduced, he moved to 50 off 106, bringing up the milestone with a reverse-sweep. Eight minutes before lunch, Tamim gave it all away. Virender Sehwag had replaced Sreesanth, and in his second over, Tamim went for a big booming drive when he was close to neither the line nor the length of the delivery. 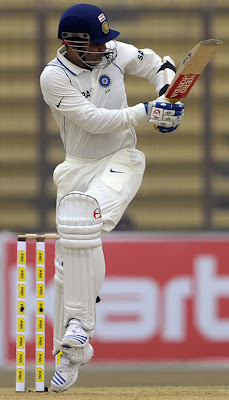 The outside edge was snapped well by an alert Rahul Dravid, and India were sensing the win. The only man who could hold them up was Shakib Al Hasan, and post the break, he got a special googly from Mishra that kicked at him and took the shoulder of his bat on its way to silly point. Mahmudullah, who scored 69 in the first innings, got into a personal battle with Zaheer, and eventually Bangladesh paid for it. Bouncers, verbals, hooks, upper-cuts, and then a tame edge outside off. 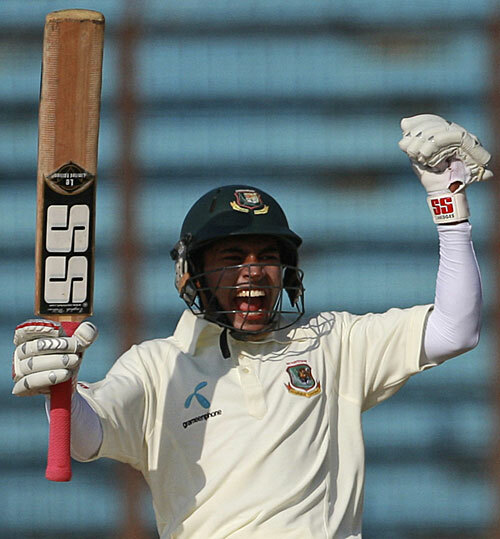 Mushfiqur stood on the burning deck, hit his way to a personal best, added 60 for the eight wicket, then cut, pulled and lofted some more, made Sreesanth mouth off like a madman for no reason, manoeuvred the strike expertly, and managed a consolatory maiden century. Mishra kept at the task, mixing the googlies well with the legbreaks, and took out the last three wickets. 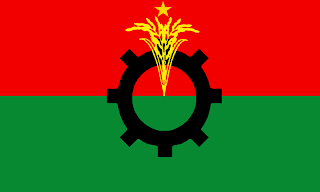 BNP, the main opposition party, submitted its ratified party constitution to the Election Commission Thursday. A delegation, led by the BNP standing committee member Nazrul Islam Khan, handed in the party's constitution, approved by the party council on Dec 6 2009, to the Election Commission. Khan said, "The amended constitution was approved by the party council in accordance with the RPO (Representation of the People Order) and has been submitted to the commission." He said student wing Jatiyatabadi Chhatra Dal and workers' wing Sramik Dal will run by their own constitutions, in accordance with the RPO conditions. Professional organisations, including the Doctors Association of Bangladesh, will ideally still work with BNP, but they will not remain with the party 'organisationally', Khan said. After receiving the constitution, chief election commissioner ATM Shamsul Huda said, "We have received the final constitutions of all parties except two." "It is really a matter of joy. It is very positive politically." Huda said, "We will review every provision of the party's constitution. We will write to them for amendment if we see any inconsistency." There are 39 political parties registered with the Election Commission. All parties except the Bangladesh Samajtantrik Dal and the Freedom Party have so far submitted their final constitutions. 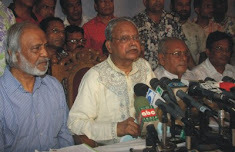 Ruling Awami League submitted its constitution on July 25. EC officials said Samajtantrik Dal had already held its council and was supposed to submit its constitution on Jan 24. However, Freedom Party said it is not possible to submit its constitution in due time amid the "prevailing political atmosphere". Regarding this, Huda said, "Registration will be repealed if the Freedom Party fails to submit its constitution in due time." Panel backs DTH TV to break cable monopoly..
A parliamentary panel has recom`mended introduction of 'direct to home' television service which may break the monopoly of the cable TV operators in Bangladesh. The information ministry-related standing committee on Tuesday observed that the DTH service will give the viewers better picture quality and more options on satellite channels. The watchdog based the recommendations on the observation of a five-member parliamentary sub-committee headed by Awami League MP Ali Reza. If introduced, the wireless DTH service provider will offer viewers different rates for different packages of channels. The providers will set a small dish antenna for every user. "The committee has accepted the recommendation of the sub-committee and suggested implementation of the DHT services in phases," Obaidul Kader, the standing committee chairman, told bdnews24.com on Tuesday after the meeting at parliament building. "There are some irregularities and corruption in the current analogue cable operations system," Kader said. "The digital system will give the government better control over cable TV operation and collection of revenues from the sector". He, however, said, "Like the movie piracy gang, there is a syndicate in the current cable TV operation. There is a danger in ruffling their (cable TV operators) feathers". The chairman said the DTH facility would reduce the cost of watching cable TV channels, as well. Md Touhid Hossain, managing director of cable TV operator 'Nation Electronics and Cable Operator', told bdnews24.com agrees that the DTH facilities would give viewers more channel options. "The viewers are now forced to watch those channels that are served by cable operators," said Hossain, who has at least 600 users in Dhaka Cantonment area. Allegations have it that the forum of the cable TV operators, the Cable TV Operators Association of Bangladesh (COAB), very often drops channels. Recently, the operators deprived viewers of watching ETV in many areas in capital Dhaka. The organisation also changes the numerical order of the channels. In many areas, Channel I is number 49, but little-known 'My TV' sometimes is in the first 10. Hossain said the cable operators can offer cheaper prices than the DTH service will. He said some big companies such as India's Tata Group and Bashundhara Group had already sought government permission to launch DTH facilities in Bangladesh. "The DTH needs huge investment". The sub-committee in its recommendations, however, said, "The DTH and the cable TV operators are not competitors. A cable TV operator can be a DTH operator". Cable TV business in Bangladesh is worth over $ 50 millions, with at least 10 lakh cable TV connections, each of which pay Tk 300 per month, according to the operators. Satellite DTH is a strong alternative to cable TV. It enables customers to receive a minimum of 200 to 300 channels on a fairly economical basis. The other advantage is the availability of satellite broadcast in rural and semi-rural areas where cable is difficult to install. Newtec offers the most advanced and reliable modulation solutions on the market. Our broadcast modulators are being used to deliver hundreds of DTH services worldwide and are offered by most of the leading DTH platform providers. These modulators deliver the best performance in both DVB-S and DVB-S2, also enabling HDTV services at an acceptable cost. Shakib and Shahadat leave India reeling..
Bangladesh, all pumped up and incisive, roared back "extraordinarily", taking eight Indian wickets for 130 runs and forcing Sachin Tendulkar to dig deep and try and take the visitors towards a respectable total. Shakib Al Hasan, who bowled 25 overs unchanged for 48 runs, and Shahadat Hossain, who bowled in hostile spurts, were at the centre of the comeback. The duo took four wickets apiece for 103 runs between them, and proved the Indians were "still human beings". Every wicket pumped Bangladesh up more and was met with wild celebrations. The special one was Shahadat's after Dinesh Karthik's wicket - a finger on his lips, telling his opponents in no unsubtle terms to watch their mouth. Virender Sehwag, who had called Bangladesh an "ordinary" side in the lead-up, got off to an aggressive start in a curtailed first session, after fog and murky light delayed the start of the match. When he went into lunch, despite the balls stopping and coming and the turn available for the spinners, Shakib would have wondered if he had made the right decision by putting India in. India had raced to 63 for 0 in 13 overs, and immediately after the break Sehwag hit Shahadat for three boundaries in one over, reaching his fifty at more than a run-a-ball. Yet Sehwag wasn't totally in control. He had hit Shakib for a first-ball four, but the turn had Sehwag in an edgy frame of mind. During the 13 balls of spin he faced prior to his dismissal, Sehwag was forced to abort attacking shots because he was beaten in flight, rapped on the pads by arm balls, and had one bat-pad fly wide of forward short leg. He eventually lost patience and hit the 14th - a shortish delivery -straight to short cover. Shakib 1, Sehwag 0. 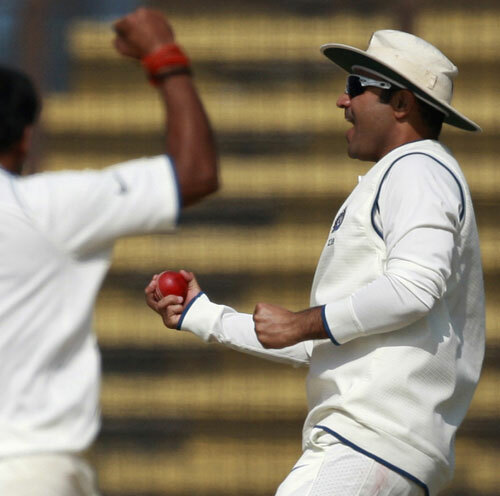 Sehwag's dismissal kickstarted a period of aggressive, smart bowling and captaincy, which eventually resulted in soft dismissals. Gautam Gambhir, who had been circumspect in playing outside off, went to cut a wide delivery from Shahadat and the extra bounce caught the edge. Rahul Dravid came to bat in a situation tailormade for him, but played all around a swinging near-yorker, and 79 for 3 became 85 for 3 in a matter of 17 deliveries. Shakib kept his fast bowlers fresh by rotating them from one end, and upped the pressure by bowling himself unchanged until stumps. With Rubel Hossain getting reverse-swing from the other end, there were no free hits, boundaries were plugged away, and Laxman, especially, struggled to get off strike. For 13.4 overs there wasn't a single boundary. Shakib mixed the offbreaks and the arm balls well, varying the degree of the flight as well. After a series of near dismissals - leaving alone an arm ball that almost shaved the off stump, hitting uppishly one bounce to short cover, and scoring 7 off 29 balls, Laxman finally over-balanced when looking to drive Shakib. The ball went straight on, took the inside edge onto the pad, and then rolled along to an alert Mushfiqur Rahim, who found Laxman short of his crease. There was no counterattack forthcoming from Yuvraj, who prodded and nudged dangerously for 30 deliveries, before the lack of clarity of thought consumed him. Caught completely in the defensive frame of mind, Yuvraj could have done many things with a gentle leg-side fulltoss, but lobbing it down mid-on's throat wouldn't have been high on the agenda. 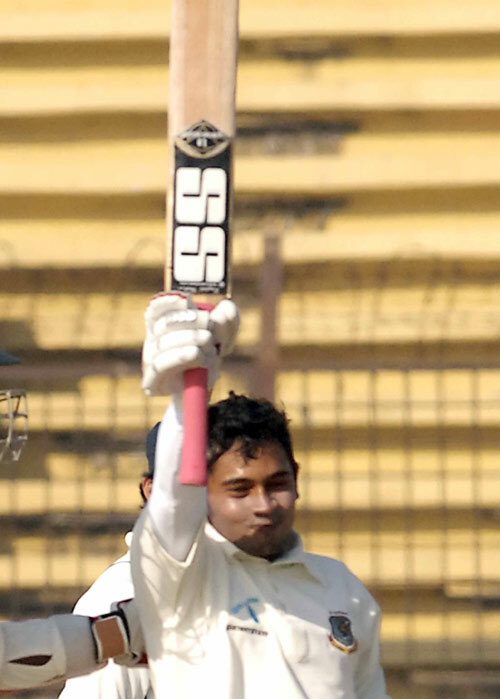 Immediately, Shakib got Shahadat back, and as if on cue, Karthik drove at a wide delivery and edged low to gully. All the batsmen who got out had a lesson to learn from the man they passed when they walked back. Tendulkar, dropped on 16 by Imrul Kayes at wide slip, respected that the pitch was not flat, Shakib and Shahadat were bowling really well, and cut out undue risks. He didn't play away from the body, worked the singles, found the gaps for twos, and even the edge that flew to the left of slip came against the run of play. Tendulkar capitalised on that, and without taking risks, maintained a strike-rate of 50-plus in reaching his 98th score of 50 and above. The other end, though, remained vulnerable. The tea break came just at the right time, and Shakib and Shahadat came back fresh. Tendulkar and Amit Mishra added 32 for the seventh wicket, but Shahadat came back to produce a low, reversing full toss to Mishra. Unlike Tendulkar, Zaheer Khan couldn't make the most of a dropped catch, and the 27-run eight wicket ended when an arm ball got the latter. Before bad light kept India's first innings fighting for another day, two statements were made that suggested that Bangladesh were not as ordinary as India had thought. Tendulkar was forced to try and farm the strike, and more often than not Shakib bowled smartly enough to keep him at the other end and expose the tailender for a complete over to Shahadat. And just before stumps, Shakib, not lacking in a sense of drama, bowled with three slips, a silly point, a forward short leg, and a leg gully to Ishant Sharma. Khaleda Zia urges nation to stand against "sell-out of Bangladesh"
She also spurned the Prime Minister's call for the opposition to join parliament and discuss her India trip, saying no use discussing the deals already signed giving a carte blanche to New Delhi. The former prime minister categorically called upon all individuals, groups, social forces and political parties to forge a national unity to stand against the agreements, MOU and protocol signed between Bangladesh and India "against the country's interests" during her political rival's January 10 bilateral trip to Delhi. As part of "greater movement" against the outcome of PM's New Delhi treaties, they will soon hold talks with students, youths, workers, women, businessmen, and professionals in phases alongside ongoing programmes of movement, she told newsmen, a day after the Prime Minister told a press conference that she had succeeded in securing national interests through the accords. The BNP chairperson, who has long been leading a boycott of parliament sessions, posed a question if there was any scope for discussion in parliament after giving 'bond of slavery' through Sheikh Hasina's India tour. She demanded elaborate publishing of the contents of all agreements, MOUs and protocol signed with the Indian government during the PM's visit before the people. Furthermore, she demanded government's clear statement over the reported 'secret security deal' with India during the PM's Delhi visit. The BNP chairperson launched the broadside against her political foe from a crowded press conference at her Gulshan office in the afternoon. 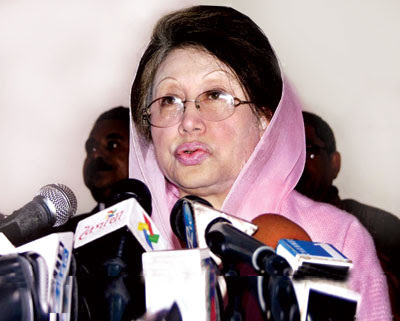 During her about 40-minute written statement and answers to questions from reporters for around 20 minutes, Khaleda Zia mentioned previous and present Awami League government's "anti-nation" agreements signed with India, the government's various anti-nation moves and attempts. She explained the drawbacks and negative impacts of recent agreements as well as her party's stand to face the issues. The motivated attempt to confuse public opinion continues. The Honourable Prime Minister in her yesterday's (Saturday's) Press Conference upon return from India completing her official trip devoted more of her efforts at tainting the opposition party than letting the people know the actual truth and disseminating the actual facts. The statement that she made regarding the total capacity use at present of Chittagong and Mongla ports as 40% and 10% respectively is totally false. Information gathered from all sources show that at present we are utilizing 60% of the total capacity of Chittagong port and 40% of Mongla port. This use is increasing every year. But after consenting to let India to use these ports, she is confusing the public by giving false information [regarding our current capacity use of these ports]. The trip made no progress in achieving any rightful share of water of the 54 common rivers flowing through Bangladesh and India…". "… The hurried attempt on the part of India to build the Tipaimukh dam is a cause of anxiety for the whole of Bangladesh. Yet the Prime Minister in her press conference has said, she does not know anything about it. What a shocking statement! Recently, a government team has visited India with the mission to find out about the Tipaimukh project. The Prime Minister herself visited India. Yet she has said that she does not know what is happening in Tipaimukh. This ignorance is unforgivable, this indifference is unpardonable…". "We have been told that during the Prime Minister's visit to India, three Treaties, one MoU and one Protocol has been signed. The countrymen remain in the dark about what these documents contain. The agreements that have taken place are very sensitive, because with these our national security and interest, national sovereignty and geographical unity are deeply related. Therefore, the people of Bangladesh have a right to know what these documents contain. We demand a full published disclosure of these documents…". "A country with fifteen crore people cannot run by leasing out its roads and ports. 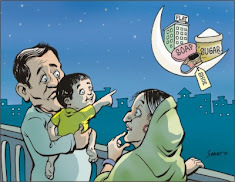 Those who are showing the people of Bangladesh this unrealistic dream want to keep them poor. Because, the industrial competitive advantage we had, has been finished by permitting use of these ports and transit facilities. As a result industrialization shall suffer, employment opportunities shall shrink and exports shall be reduced. In reality Bangladesh will turn into a market of India. Against this we have in our receivable status been given an assurance of one billion dollar loan assistance. Why should we take this loan? ... "Bangladesh has been discouraging bilateral loans in its greater national interests from a long time. The interest on this loan is more than twice as high compared to that of the World Bank."…. "Truth and justice will win, inshAllah."